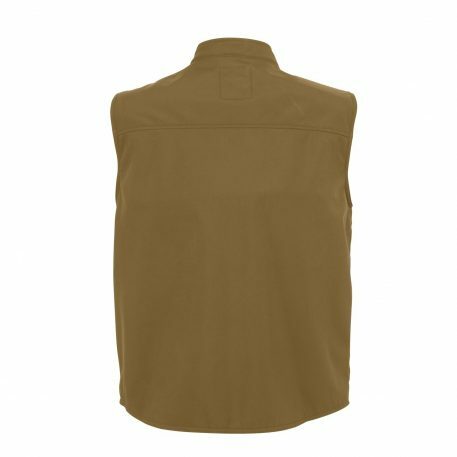 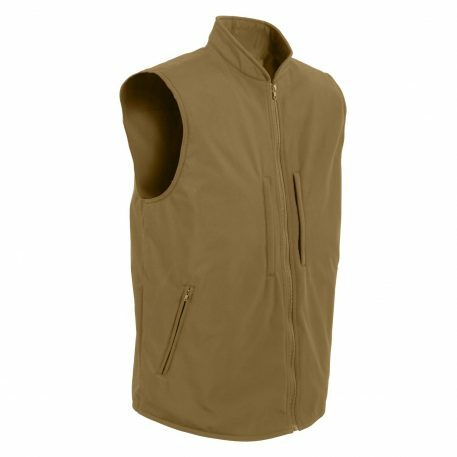 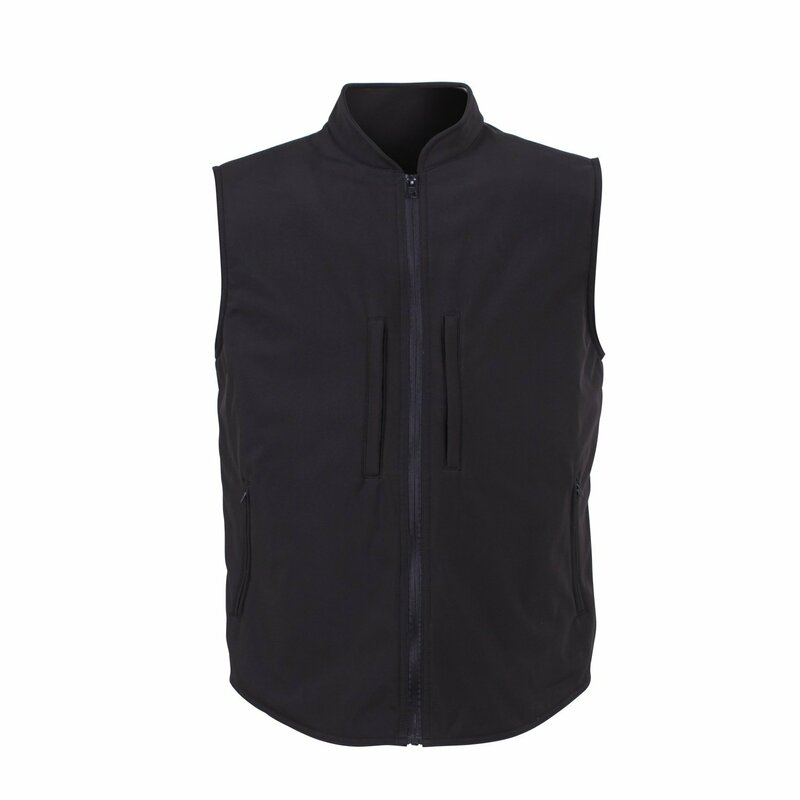 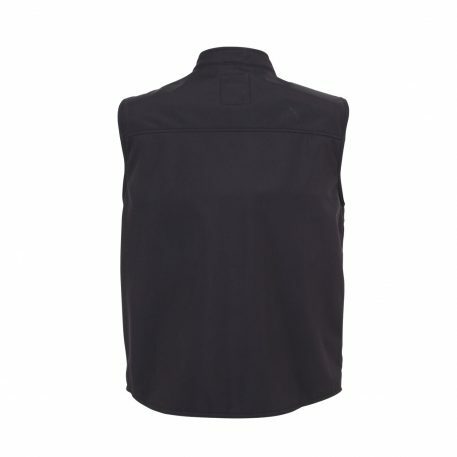 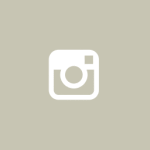 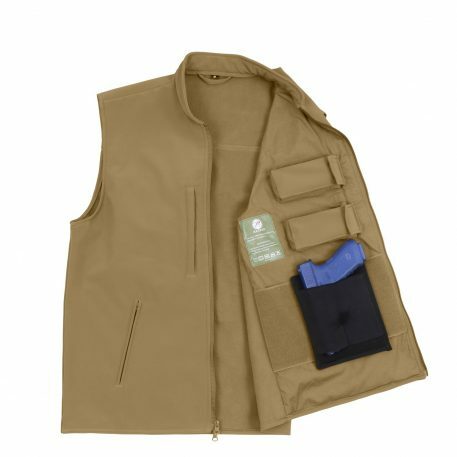 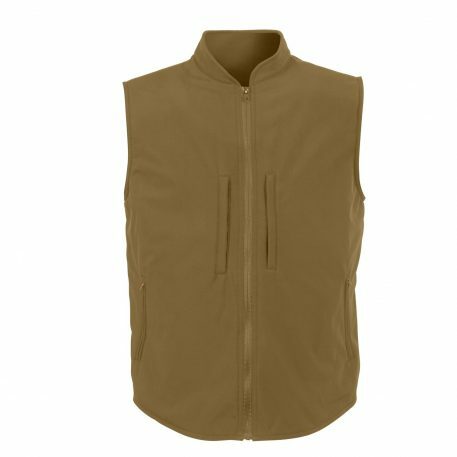 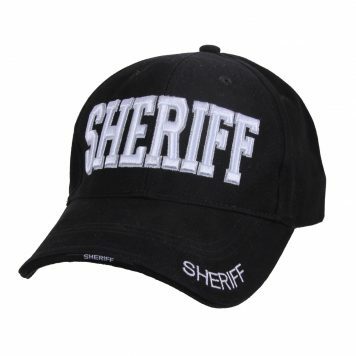 Rothco’s Concealed Carry Soft Shell Vest is durable, lightweight and breathable; the concealed carry vest features a 100% polyester shell with a three layer construction that deflects wind wick away moisture and retains body heat. 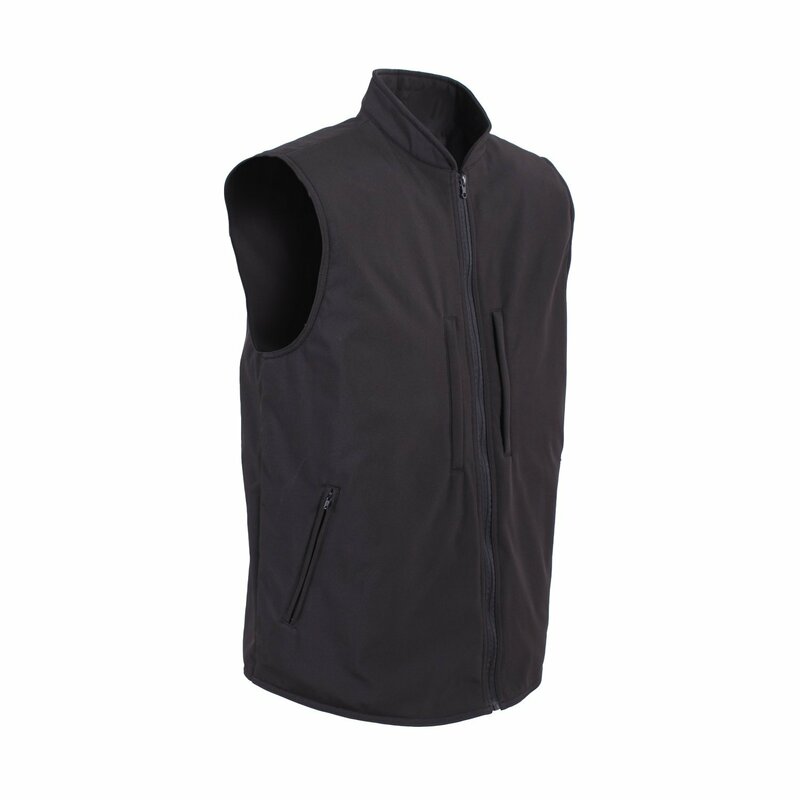 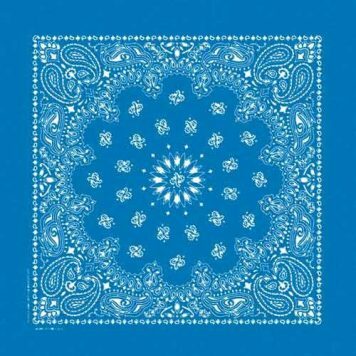 It is the perfect vest to keep you cool under pressure. 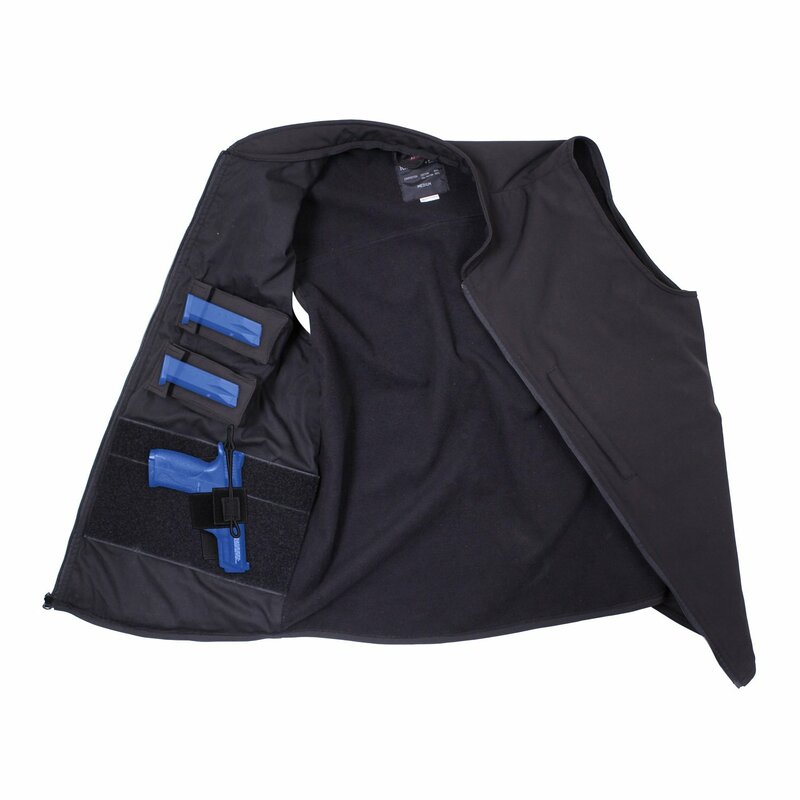 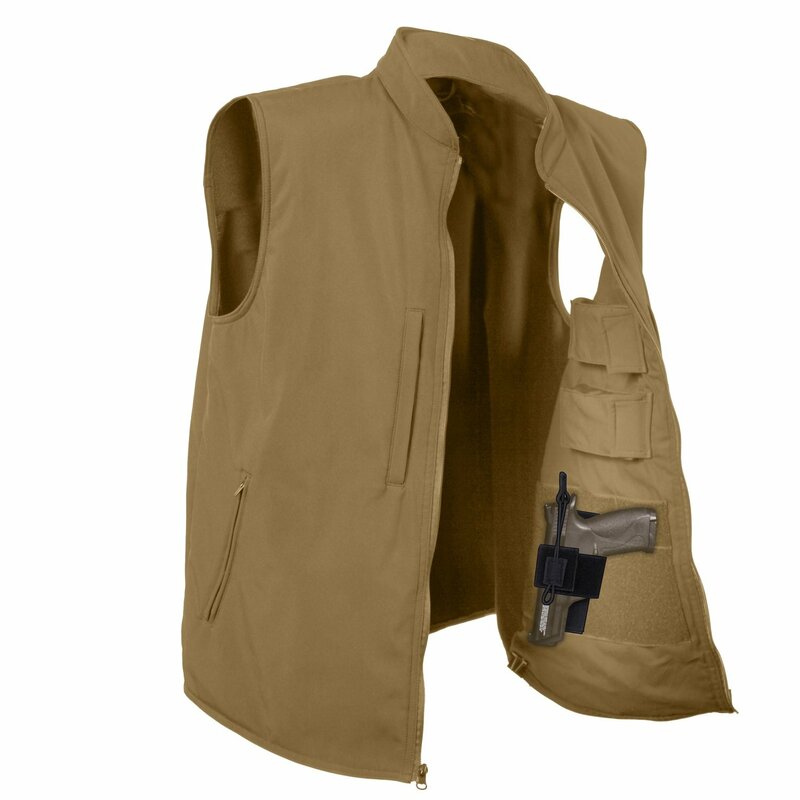 The covert carry vest is equipped with two interior loop fields for concealed holster attachment, one on each side, and four internal mag pouches (two on each side). 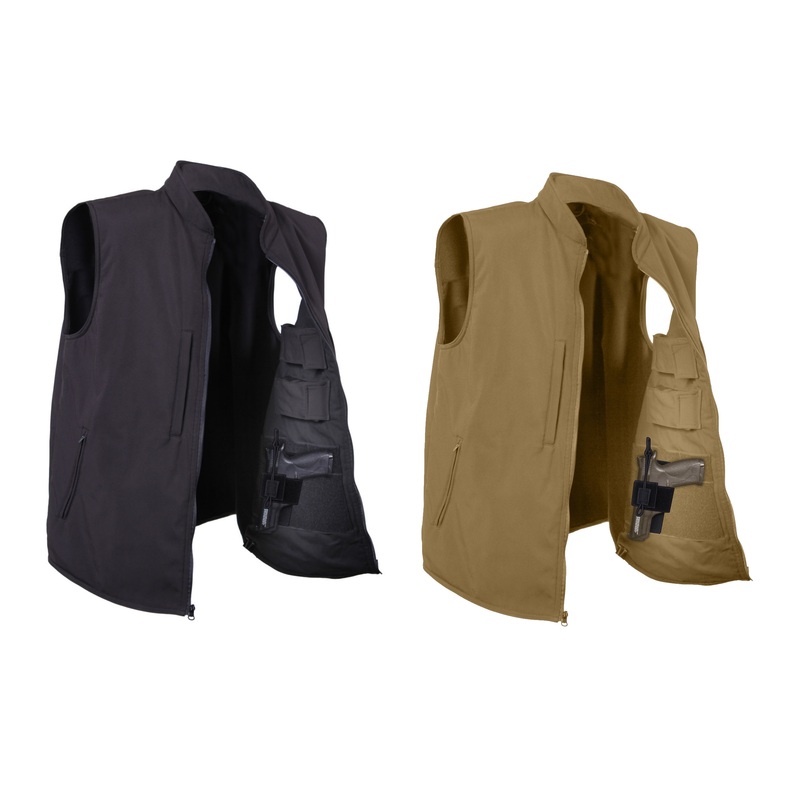 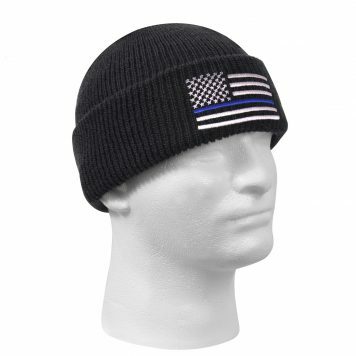 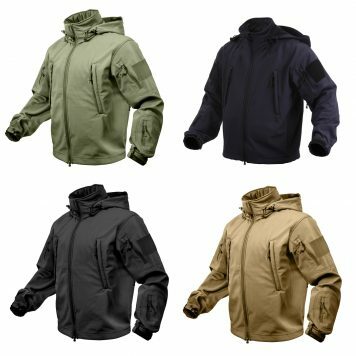 In addition, the tactical vest features two front slash zippered chest pockets and two side slash zippered pockets for storage of your essential everyday carry gear.